Rochele Liberow, far left, with friends at summer camp in Florida. The resident of Barranquilla, Colombia, looks forward to seeing some of them at the annual Kinus for Young Shluchos, which takes place as part of the larger International Conference for Chabad-Lubavitch Emissaries (Kinus Hashluchos) this week in New York. 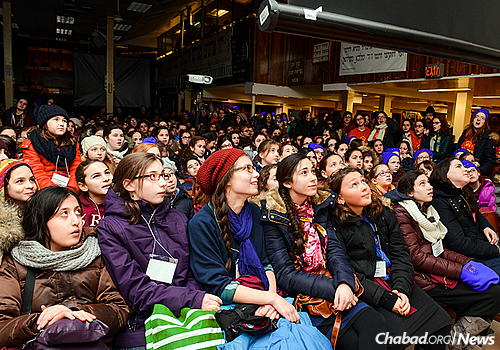 They’re all set to come this week to the Crown Heights neighborhood of Brooklyn, N.Y., with their mothers, aunts, cousins and grandmothers, who will be attending the International Conference of Chabad Women Emissaries (Kinus Hashluchos) from Thursday, Jan. 28, to Sunday, Jan. 31. Less widely known is the parallel convention for the younger set, where the budding young emissaries enjoy their own full schedule of activities, excursions, learning sessions, workshops and, perhaps most importantly, social time with friends, old and new. This year’s theme is to increase ahavat Yisrael and achdut Yisrael—a focus on love of the Jewish people, and on being kind and looking out for one another. As a continuation of the theme, each girl will pick a “buddy” this weekend to keep in touch with throughout the year. 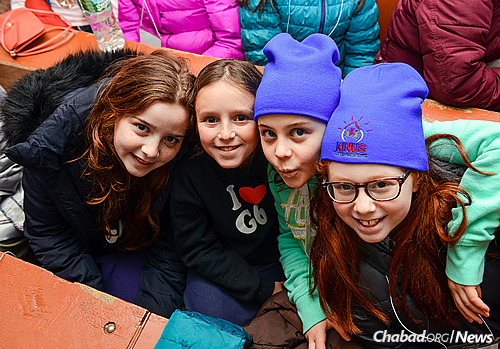 And in the spirit of the Hakhel year, a highlight of the conference will be a children’s rally on Friday at the Ohel—the resting place of the Lubavitcher Rebbe, Rabbi Menachem M. Schneerson, of righteous memory—in Queens, N.Y. It will be broadcasted live, uniting people from all over the world. Schools worldwide will join the webcast, as well as mothers and daughters who were unable make it to New York for this year’s convention. Take the Schmerling sisters: Nechama, 11, and Mushka, 10. 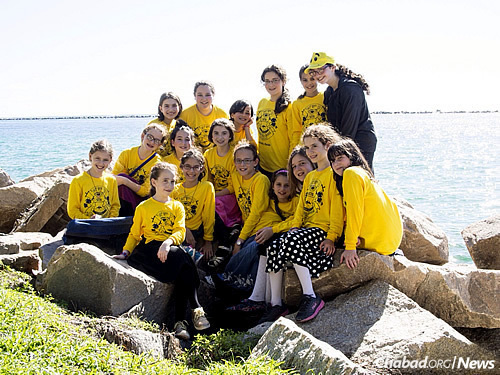 The girls assist their parents, Rabbi Sholom Ber and Chaya Rivka Schmerling, co-directors of Chabad of Venice & North Port on Florida’s West Coast. The area has a significant population of retirees, and while the six Schmerling children appreciate having so many grandparental types around, they also crave the company of younger people. They get this dose of companionship at the Kinus. Nechama and Mushka have been attending the Kinus for a few years now. This year, their 6-year-old sister, Yocheved, will be joining them in New York. Although she is too young to attend the official girls’ program, she is coming along “just for fun,” according to their mother, so that she, too, can experience the excitement in Crown Heights. Chava Freundlich from Beijing, China, will participate in a new “Pioneer Program” for seventh- and eighth-graders. The Schmerling children, along with more than 1,000 other Chassidic children around the world, attend the Nigri Shluchim Online School, an online virtual school provided by the Shluchim Office for Chabad-Lubavitch emissaries in remote areas with no local Jewish-schooling options. 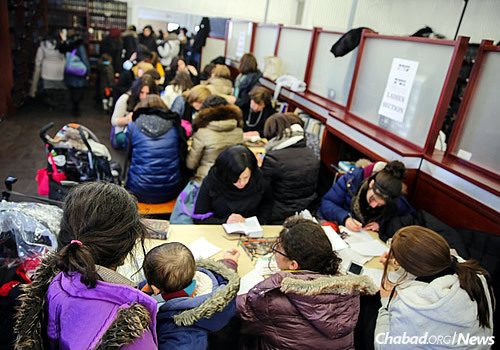 The office was established in 1986 following the request of the Rebbe—Rabbi Menachem M. Schneerson, of righteous memory—that a central organization be set up to assist the global network of Chabad emissaries and their families. The Kinus for Young Shluchos is a project of the Shluchim Office—another way to help shluchim and their families. 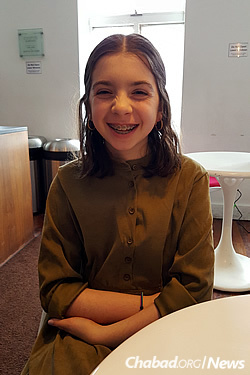 Rochele Liberow, all of 10, has been traveling from her home in Barranquilla, Colombia, to attend the Kinus for four years now. For Rochele, going there is about seeing her 12 online schoolmates, as well her older sisters and their children, who live in North America. 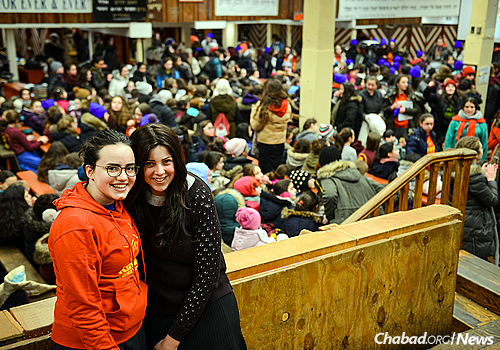 “All year, I look forward to seeing my classmates and camp friends at the Kinus who I don’t see for months on end. And being able to pick my bunkmates ensures that I’ll have quality time with those I miss most,” explains Rochele on the phone during her lunch break from online school.